Organized and structured programming environment creates maintainable code — it will be easier to make updates or changes to the code or have new programmer(s) or programming team(s) take over the Web Application project maintenance. Promotes writing a function (or class) once and reusing it in different parts of the Web Application instead of repeating the same function in different places. So, if there is a need to change the function, it can be done in one place instead of having to change it in several places. Provides a better environment for multiple programmers to work on the Web Application Project. By separating the HTML and CSS from the PHP code, HTML and CSS designers can work on the design (refereed to "view") folder without having to deal or tinker with the PHP code. Most frameworks come with the common functionalities (classes, helpers, and libraries), such as database access, form input security checks, validating forms, uploading photos, sending emails, etc. — those common libraries provide an streamlined and fast method of coding without having to rewrite code for common functions. Provides better beta testing and bug fixing environment — it promotes testing one functionality at a time, instead of testing the whole Web Application which usually causes programmers to miss programming bugs. Web Application Frameworks are organized in a structural pattern — this promotes better code organization and code reuse. Model — data interfacing — this is where the data updates are occurring — the developer writes the function in the Controller referencing a function in the Model telling it to save the user's submitted information to the database. View — user interface — this is where the application interface such as HTML and CSS exist and are managed. For example a Contact Us form. Glue frameworks provide an environment with a wide variety of components and libraries, and the programmers have the control of the structure and flow of the program actions, and can pick and choose any library or component at their own discretion. In my opinion, Glue Frameworks provide a better environment for custom Web Applications with complex business logic. In most of today's custom business Web Applications, there are a lot of complex business logic requirements and many exceptions to the rules functions — it is much easier to implement custom, complex logic into a Glue Framework. 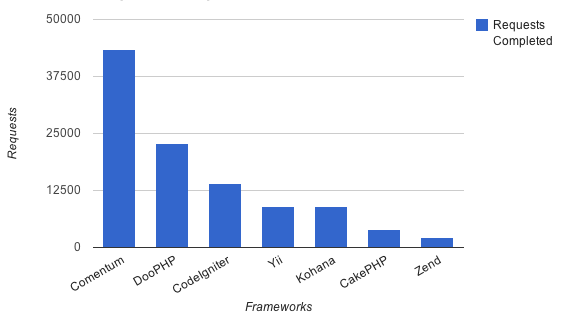 Full Stack Frameworks provide an environment with libraries and components that are integrated, forcing programmers to use most of the libraries and components based on the framework's structural flow and guidelines. In my opinion, Full Stack Frameworks provide a better environment for common Web Applications that do not need much customization and do not have lots of complex business logic. 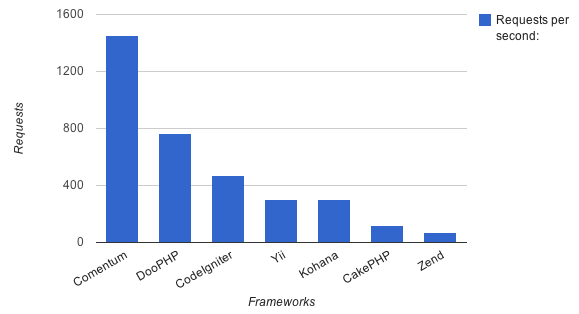 Comentum used Apache Bench to test the performance of different PHP Frameworks and below are the results (this test was run on November 9, 2012). Research for this article was completed November 9, 2012; pricing and other information may change.